In Detroit, an innovative partnership between a local hospital system and a nonprofit housing organization is anchoring revitalization through a new community development corporation. In Detroit, most of the investments in multi-family rental housing and small business development have been confined to the downtown area. 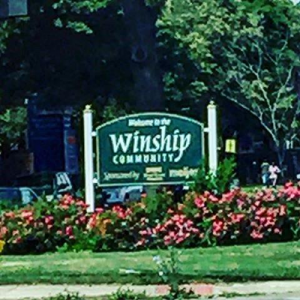 However, in a Northwest Detroit neighborhood, the Winship Community, one catalytic project is proving to be transformational. In the Winship Community, the Detroit Medical Center’s Sinai Grace Hospital (Sinai-Grace Hospital) and Enterprise Community Partners (Enterprise) have teamed up to leverage an anchor institution strategy for the thousands of hospital workers and neighborhood residents. In 2015, three years after Sinai-Grace Hospital invested $77 million in the largest construction project in Northwest Detroit in a decade, Sinai Grace Hospital brought together community stakeholders from sectors outside of health care , such as local and county based public sector groups, local businesses, faith-based community members, and Enterprise to explore areas of opportunity for revitalization in the community. With Sinai Grace Hospital patients having notably higher rates of chronic diseases compared to patients at hospitals nationally, the need to address these conditions at the community level was clear. The cross-sector group of stakeholders raised the need for investment in health through affordable housing. Given Enterprise’s expertise as a national non-profit affordable housing organization that brings together cross-sector partners, policy leadership, and investment solutions, Sinai Grace Hospital partnered with Enterprise to address these health issues through housing solutions. Moving forward with the dedicated effort to revitalize the neighborhood in a meaningful way, in 2016, Enterprise assisted the hospital with the creation of the Grace Guild of Sinai-Grace Hospital and Community Development Corporation and provided grant dollars to support the hiring of an executive director for the community development corporation (CDC) . Enterprise helped Sinai-Grace establish the CDC. Sinai-Grace wanted to organize themselves as such and lacked the understanding of how to do so, Enterprise possesses the expertise and provided the technical assistance to help with restructuring the by-laws and explaining opportunities for grant funds to help execute the strategy that they sought to implement. The hospital chose to create a CDC to fill a gap of holistic community development. They initially were looking for ways to engage business and homeowners, address blight removal and safety concerns. The Enterprise-Sinai-Grace partnership takes a holistic approach to community development with the vision of a well-functioning, thriving neighborhood where the quality of life for residents is greatly improved by addressing health, housing, safety, education and economic mobility issues in tandem. Since partnering, Enterprise and Sinai Grace Hospital have worked together to share expertise and technical assistance, grant funding, and collaborative fundraising. Sinai Grace Hospital hosted Enterprise to lead an Aging in Place design charrette – which engaged neighborhood CDCs, community members, and healthcare stakeholders – helping them to better assess, respond, and prioritize the needs of their aging population through the built environment. To further support the technical capacity of the local CDC community, including Amandala CDC, Hartford Memorial CDC, Resurrection CDC and New Hope CDC, the City of Detroit hosted Enterprise’s 7th Annual Affordable Housing Design Leadership Institute, an outcomes-based design institute to teach development and design leaders new skills and share best practices and innovations. Beyond technical assistance, Enterprise has provided grant dollars to strengthen the capacity of two of the four CDCs that are within the Winship neighborhood. These partnerships facilitated by Sinai-Grace Hospital in the Winship Community will be the catalytic neighborhood project that will encourage stakeholders to invest with anchors for transformational neighborhood redevelopment. The momentum is building and others outside of the neighborhood are asking about ways that they can support this important cross-sector work. 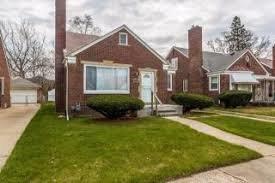 The key to Detroit’s economic success will be the result of investments in neighborhood revitalization projects. CDCs deepening their connections with anchor institutions and making neighborhoods attractive for new residents will be the sustaining lifeline as Detroit’s economic rebound is underway. Kylee Mitchell is the senior director for Enterprise Community Partners’ Michigan Market where she is responsible for the development and coordination of Enterprise’s programmatic, policy and investment strategies towards ending housing insecurity. 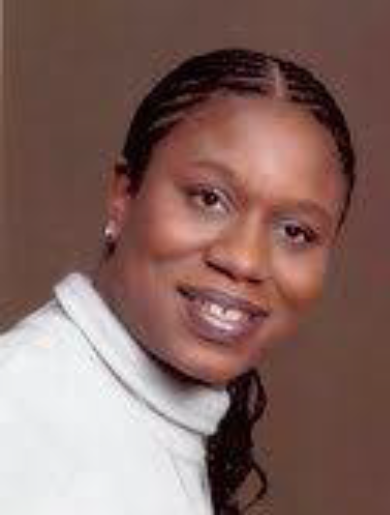 She has served as an associate director for the Office of Grants Management with the City of Detroit where she was responsible for the strategic usage, timely expenditure, monitoring and compliance aspects of resources issued by the U.S. Department of Housing and Urban Development. Her career with the City of Detroit began as a management consultant for Conway Mackenzie, advising the Emergency Finance Manager during the bankruptcy proceedings. Prior to working with the City of Detroit, Mitchell served as program officer, workforce solutions at the United Way for Southeastern Michigan and as program director for Washington, D.C. Mayor Adrian Fenty. Mitchell also has 10 years of combined experience in corporate finance with BOSCH-USA, General Motors Corporation, and the Detroit Regional Chamber. She received a master’s of public administration from the City University of New York School of Public Affairs via the National Urban Fellows Program, and a bachelor’s of business administration and finance from Davenport University. Mitchell was also a fellow in Michigan State University’s – Michigan Political Leadership Program (MPLP).